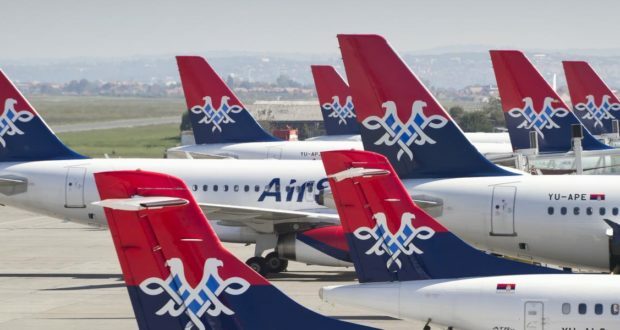 Connections between northern Europe and the Balkans will become more diverse from June 1, when Air Serbia launches a new route linking Helsinki and Belgrade. It will be the first year-round direct route between the Finnish and Serbian capitals, with flights operated three days a week – on Mondays and Saturdays in the morning and Thursday in the afternoons. Air Serbia, which already flies to Copenhagen and Stockholm in the Nordics, will deploy one of its eight Airbus A319 aircraft to the route and the journey will take just over two-and-a-half hours. Helsinki is one of several routes being opened or reopened by the carrier in early June. It will open new connections to Nice in France and Krasnodar in Russia and reopen them to Rijeka and Zadar in Croatia, Barcelona, Madrid, Cairo and Kiev in addition to five or so seasonal routes. The Serbian flag carrier was established back in 1927 as Aeroput. It flies to nearly 50 destinations from its hub at Nikola Tesla Airport in Belgrade with a fleet of 20 aircraft. A member of the Etihad Airways Alliance since it was founded in 2014, Air Serbia managed a profit of €15.7 million in 2017, carrying 2.62 million passengers that year. “It’s great to see yet another airline joining Helsinki Airport. Air Serbia and the new Belgrade route opening is a great addition to our connections to the Balkan Peninsula,” says Petri Vuori, director of route development at Finnish airport operator Finavia. Duncan Naysmith, chief executive of Air Serbia, comments that he is “delighted […] to bring closer ties between Serbia and Finland. The new link will provide business and leisure travellers with convenient travel opportunities between the two capital cities and also provides a seamless onward connection through Belgrade to major destinations in Southeast Europe, the Mediterranean and other among Air Serbia’s 49 destinations”.